What Are Those Pipes on Temescal by Dos Lagos / Corona Crossings? 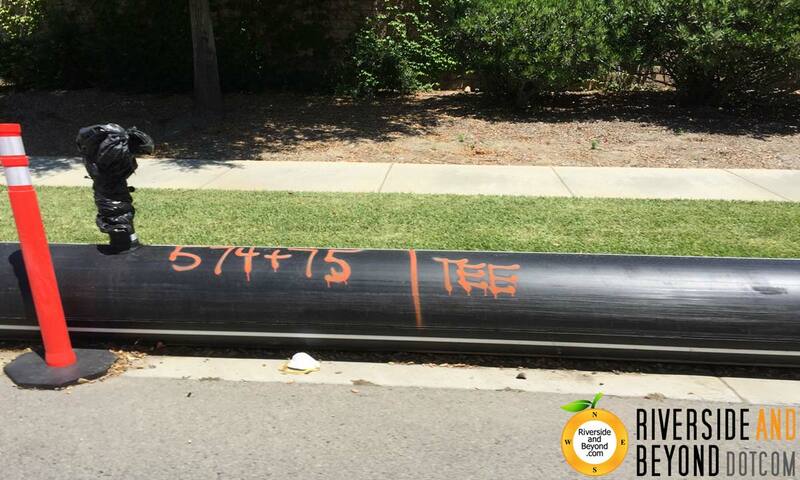 Have you driven on Temescal Canyon Road recently near Corona Crossings and Dos Lagos, and wondered what those pipes running along (and under) the road are for? I was curious too, but couldn’t find anything on Corona’s website or the contractor’s website. After a bit of searching, I found some information on the Santa Ana Watershed Project Authority’s (SAWPA) website. 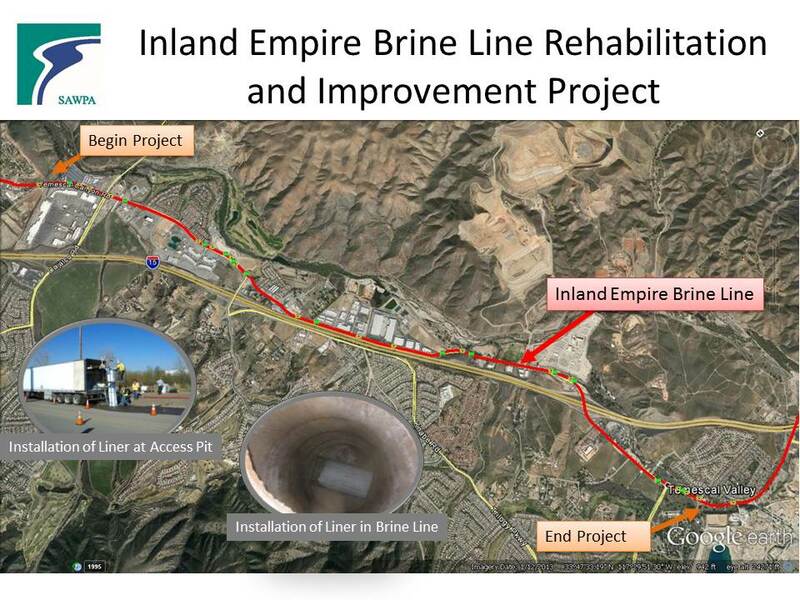 The work includes lining of approximately five miles of the Inland Empire Brine Line in the Temescal Valley, Riverside County and the City of Corona. 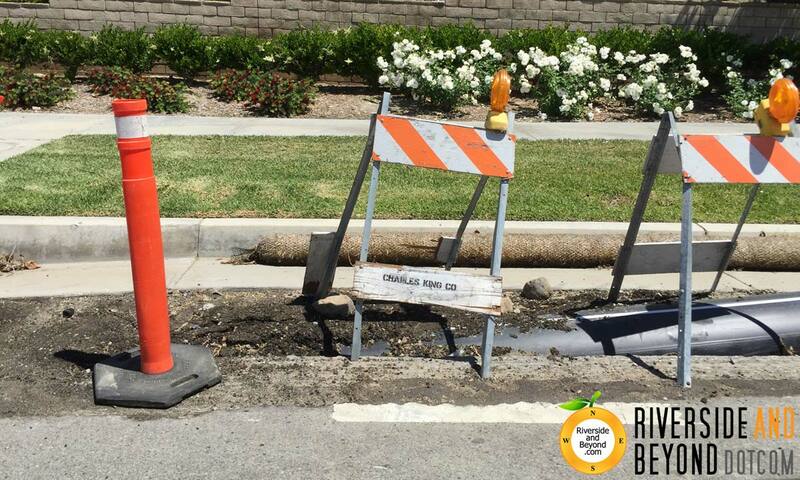 The project begins at Temescal Canyon Road at Tom Barnes Road and continues southbound on Temescal Canyon Road to Glen Ivy Road. 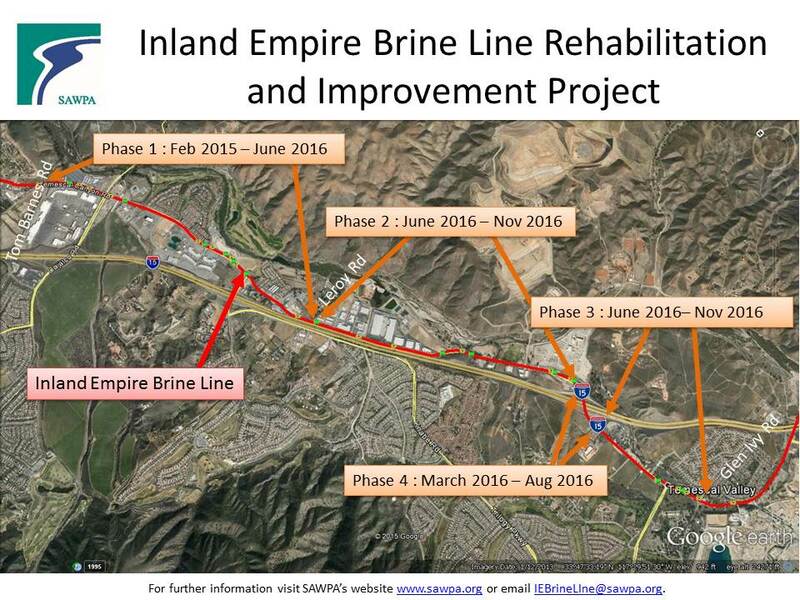 What is the Inland Empire Brine Line? Short answer: A separate system that transports salty wastewater generated by certain industrial processes for treatment prior to discharge to the ocean. The Inland Empire Brine Line (Brine Line) is a unique and indispensable resource for the Inland Empire region, providing a facility for exporting salt from inland areas to the ocean. Salt export is important for protecting water quality and meeting regulatory requirements. The Brine Line provides a viable salty wastewater disposal facility for industries that generate salty wastewater during the manufacturing process, or from cooling, boiler blowdown or other processes. Salty wastewater from industry is redirected from the local wastewater treatment plant to the Brine Line, reducing the salt discharged from treatment plants into the Santa Ana River protecting plants and animals dependent on lower salt water and reducing the salt which percolates into the groundwater basins. Why does it need to be rehabilitated and improved? Short answer: After a failure in 2011, a study revealed that about 21,000 feet of pipe was at medium/high risk and should be repaired. In February 2013, SAWPA hired RMC Water and Environmental to perform a risk assessment of the Reach V Pipeline. The work included preparation of a pipeline condition study to evaluate approximately eight (8) miles of Reach V. The results of the study found that of the 41,000 feet of pipe evaluated, about 21,000 feet of pipe were in the high and medium risk categories and recommended repair with a trechless repair method such as a cured-in-place pipe lining (CIPP). The remaining 20,000 feet of pipe were placed in the low risk category for continued monitoring through periodic CCTV inspection. So, what are those pipes? Short answer: Bypass pipes that will carry the wastewater while the Brine Line is being repaired. By-pass pumping of exisiting flows is necessary with this rehabiliation method. Four separate by-pass systems will be necessary to implement the project. The longest by-pass is about 12,000 feet. Short answer: The contract amount was $12,561,000. In August 2014, SAWPA issued a notice inviting bids for construction of the project. On October 21, 2014, SAWPA awarded the construction of the project to Charles King Company. The total contract amount is $12,561,000. A notice to construct was issued to the contractor in January 2015. 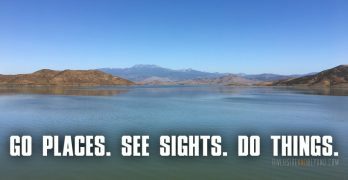 […] Funding for the Project is through the California State Water Resources Control Board Clean Water State Revolving Fund Loan Program. The Agency’s major revenue source is discharge fees from the Brine Line Enterprise. Other funding sources include grants and contracts, interest and investments, capacity sales, use of reserves/SRF loans, member and other agency contributions, and mitigation credit sales. The Agency will apply for SRF loans to fund most of the project costs for the Reach V Capital Repairs Project. If the loan is received, the reserve funds will not be used. I also found out that while this particular contract is for $12.561 million, the total capital funding request for these repairs was $19 million. I am not involved with this project or this agency in any way, so I don’t have any firsthand knowledge of how this will be funded. I am just trying to pass along the information I find. The construction duration is 14 months and is anticipated to be complete in early 2016. My only source for this information is SAWPA’s website. I am not involved in this project in any way. If you have additional information, questions or corrections, please use the comment form below. Added some additional information regarding funding and costs based on SAWPA records. I live along side Temescal Canyon Rd and there are 3 metal plates sunk into the roadway in front of my house. Fast travelling full loaded gravel trucks hit these plates and the resulting sound is no good. I won’t express my feelings whenever the sound occurs because I would like to keep my comments SFW. Please have someone look into this issue in front of the Sportsmans Bar stretch of roadway. Please.